I decided not to make this an actual chapter, as we’ve seen soooo much of the Ralston-Kibo household already this round. All I really have left to say is who they picked! Then I threw all 6 ladies into a house with a new Gavin and Akira clone couple and let them go about their lives. Everyone got points based on who they befriended. The first one to befriend both Gavin and Akira got the most points, the last one to befriend both got the least points. There were bonus points given for befriending the other women in the house. This was objective because I just let the Sims create their own relationships. I did give bonus points for a personal connection to surrogacy. It just made sense to me that the guys would highly value that in a potential surrogate. Once I tallied up the points, the chosen surrogate won by a nice margin. The biggest factor in terms of points was how quickly she cozied up to both guys in a very platonic way in that house. Wait, first, I gotta say this. About this surrogate. Gavin loved her. This was his smile when she spoke. Akira loved her too! He was already imagining what their kids might look like when he spoke to her. After the interviews were over, and they reviewed the files, the guys both agreed on who they wanted. They told Laurel and Carmen the news. Five women were sent home with the information that they’d be notified soon “if they were chosen.” But one girl they asked to stay behind. They brought her back to the interview room the next day. Akira wanted to be the one to share the news with her. 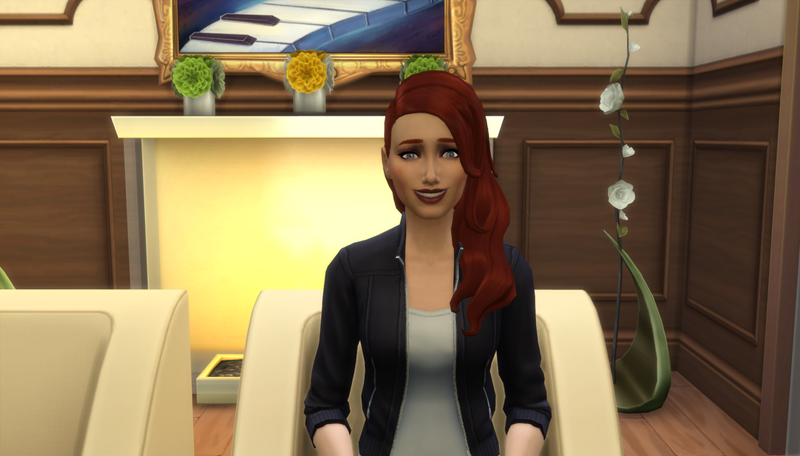 Just to remind you, Jessie Spinks was submitted by Skcaga6, who writes over at Another Sims 4 World. Jessie is a character in her story Pieces of Time. Jessie will continue in her main story while she’s my surrogate. 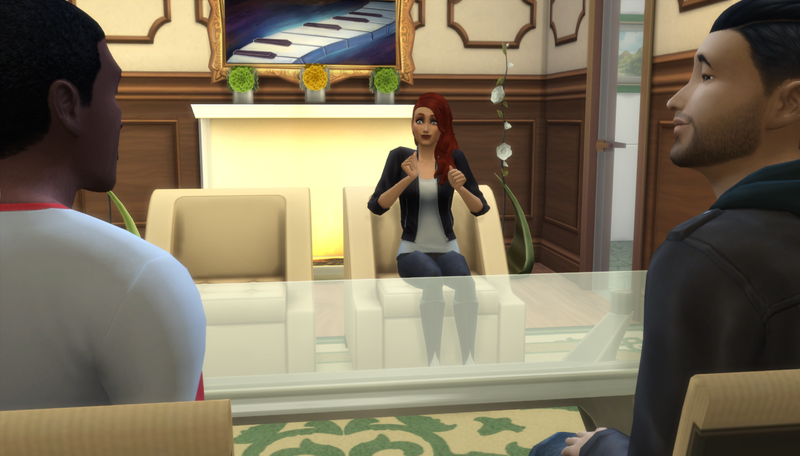 You’ll get some extra views of her time with my guys in San Myshuno from her perspective, so I encourage everyone to read that story too! 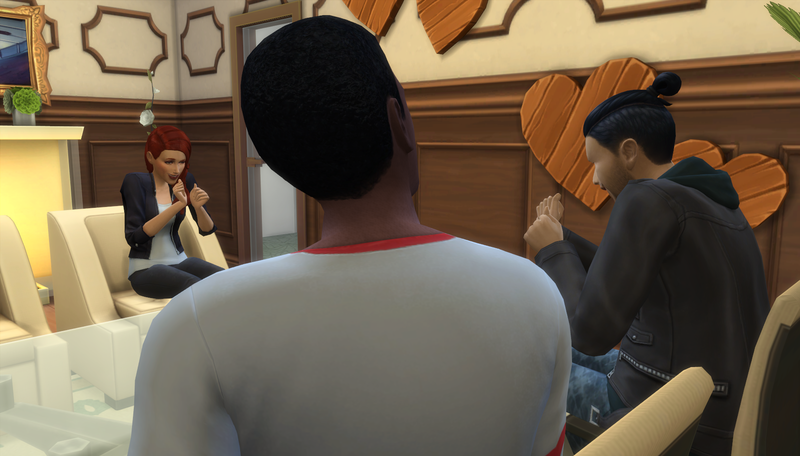 In case you’re wondering, to make the surrogacy happen, I’m using MCCC to get her pregnant, no woohoo for the nooboos. Gavin will father the first pregnancy, then Akira. Let’s cross our fingers that Cristian and Kenya enjoy some time with their great-grandchildren before they leave this world. Also, one or more of the other candidates will have the surrogacy interview process from their point of view published on their blogs. 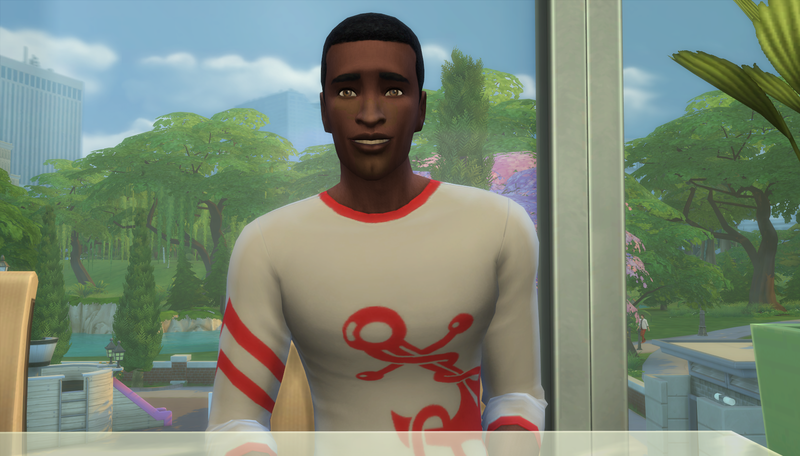 Once those chapters post, I’ll link to them on the Sims 4 forum page for my story. Plus, I’m super behind on everyone’s stories, and am looking forward to taking the time to catch up. Lastly, I’m thinking I’m going to change one aspect of my stories: aging. It made sense at first to just leave aging on all the time and pick up each household’s story wherever they happened to be when I joined them. But so much has happened (and likely will happen in the future) that I feel less inclined to leave those gaps. 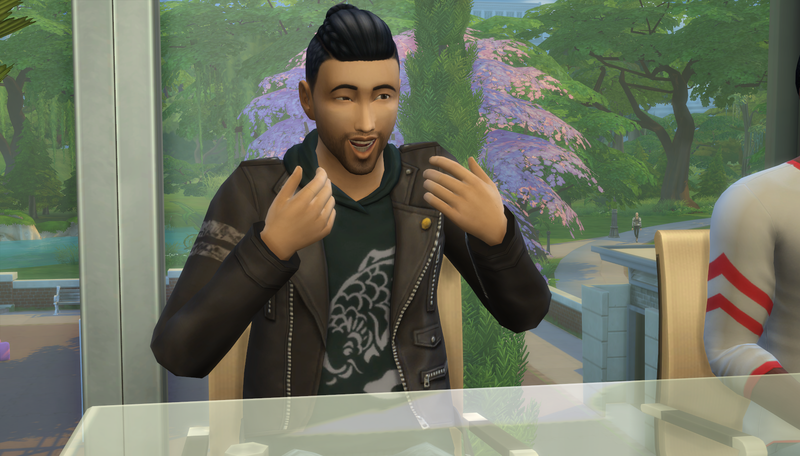 I don’t always play each house for the same amount of Sim days, but that’s okay. Starting now, whichever house goes last in a given Round will be the house where aging happens. So aging will be off while I play four families and everyone gets to age together while I’m in the last house. That should make birthday parties and births interesting, but hopefully it gives me more time with these characters I’ve grown to love. What’s that you say? No… it’s not a ploy to get more time with Cristian and Kenya. That’s not what this is at all! I was kinda rooting for Rory Vaughn but I like Jessie and with her looks, those babies are gonna be gorgeous! Thanks for the nomination, I’ll go check it out. I can’t wait to see which memories you’ve picked. I hope to see Gemma! Thanks! I’m back here with more chapters staying next Monday. Hard to believe it’s already been a couple of weeks. But I’ve been using my time wisely I think! So many qyestions, but I’ll ask in person. I hope your family time in Chicago was great, too! Take the time you need to recharge! Congrats for Jessie! I’m very eager to see how cute the toddlers will be! They’re gonna be so cute! You just wait and see. I decided I’m going to use the maternal traits for reach kid in the rest randomizer. That should make things interesting too. So cute! I am excited to see all the cute little babies! I wish had had enough time to submit a girl for you. Next time you have a casting call I’ll have to make sure I am free or steal a few minutes to myself anyways! Cece, I sent you a PM on the forums. oooh, i’ll go check it out! I’m in catch up mode for the next few weeks, and because your story has my surrogate, you’re very near the top of the list! Pages are always difficult. Good luck! We will miss you while you’re on your break, but take all the time you need! Also, I like your idea for aging! First – Congrats to Skcaga6 for Jessie! I am sure they will make gorgeous babies! Sadly your gifs didn’t show up without clicking on the links…maybe that was by design. I laughed when I saw the Beetlejuice one. That is one of my all time favorite movies!! That scene was hysterical. I fixed the links. They were supposed to be embeds, but they started behaving badly. It should work now! You got me, I’m doing everything I can to keep those two around. I just love them so much!